For the first time ever we offered a Team Cup at the WCQ. Almost 200 Duelists registered for this event making it the biggest Public Event ever. After 6 Rounds of Swiss Team E-Man Games reigned victorious. Which Decks did play today? 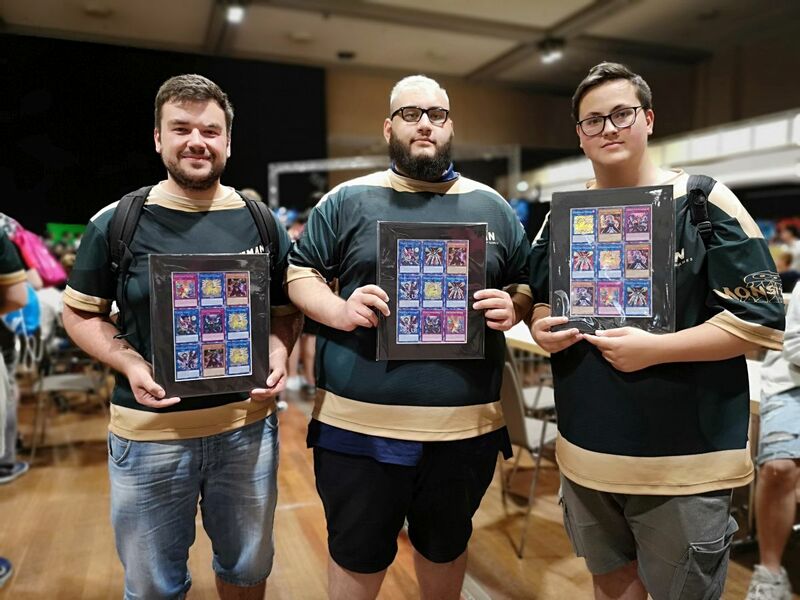 Basically, we ran the same Decks in the Team Cup that we ran for the Main Event: ABC FTK, Sky Striker and Gouki. These were the Decks we felt most comfortable with going into the event. Why did you choose to enter the 3v3 Team Cup? We already played the Team Cup at German Nationals. After we made 2nd place in Germany we wanted to win this time. We did not prepare for this event in particular. We did prepare for the Main Event though. Any last words? Shoutouts to Team E-Man Games, the best team in the world. Also shoutouts to our teammates that made Top 64 at the main event. Last but not least a big shoutout Christian Emil Stefan Wolfgang Thomas!